Made For Any Phone (5) ? 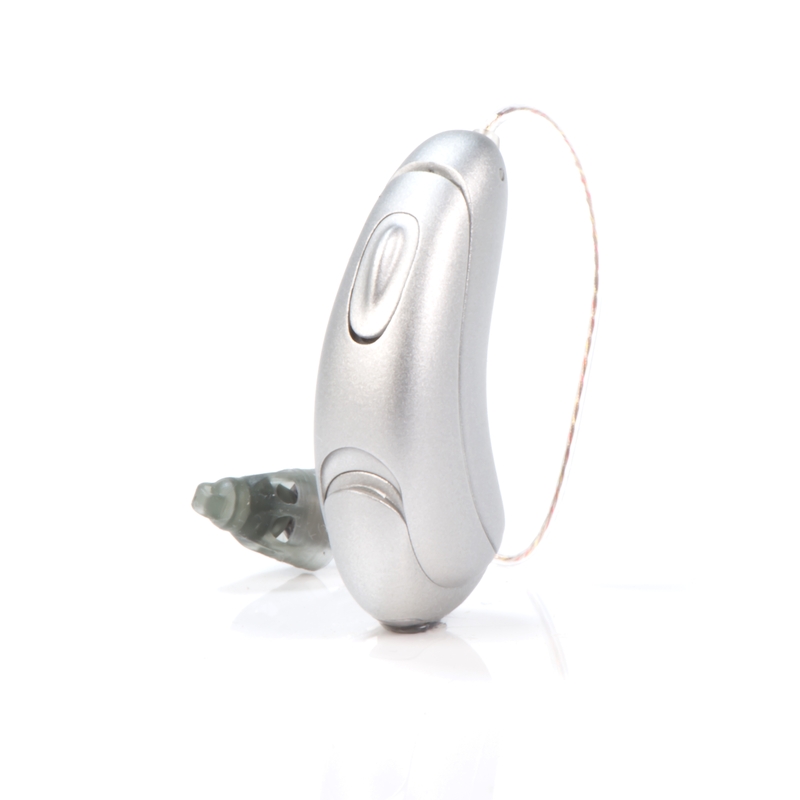 Unitron’s award-winning Moxi hearing aids have received accolades for their stylish design and ease of use. Now they have become even more user-friendly, thanks to rechargeable batteries and the convenient charging system included with Moxi All R hearing aids. Like the popular Moxi Fit and absolutely tiny Moxi Kiss models, Moxi All R hearing aids are built on the Tempus platform—Unitron’s latest. The With BlueTooth connectivity for hands-free wireless streaming, and automatic programs designed for hearing better in conversation, Moxi All R keep things simple for listeners. Moxi All R rechargeable batteries last all day on a single change—actually, all day and all night if you need them to. Most listeners get about 24 hours of power, including 90 minutes of stereo audio streaming. Even with continuous audio streaming, the batteries typically last 16 hours. To recharge the hearing aids, just slip them into the charging station without removing the batteries. If you forget about charging or need to travel light… no problem. Just swap standard disposable batteries for the rechargeable ones until you find a convenient time and place to recharge. Moxi All hearing aids offer something great for nearly everyone. First, they’re compatible with Android and Apple iOS BlueTooth-enabled devices - not only iOS devices like some hearing aids. This means you can enjoy hands-free wireless streaming directly from you mobile phone, without the need for additional accessories. You can even answer and end calls without touching your phone. Moxi ALL are also compatible with Unitron’s own wireless accessories, such as the TV streamer, allowing you to stream audio from sources that don’t have BlueTooth, such as a stereo or an older TV. Second, Moxi All R come in five different performance levels, so you can choose the one that best meets your needs. Unitron offers a unique trial program to let you experience different performance levels in your own listening environment before having to decide which model to purchase. Third, Moxi All wearers can use the Remote Plus app for Android or iOS operating systems to communicate with their hearing care professional. All it takes is open the app and rate how you are hearing to send in-the-moment impressions that can help your hearing care professional improve the hearing aid fitting. It’s also a great way to figure out which features are really working for you.